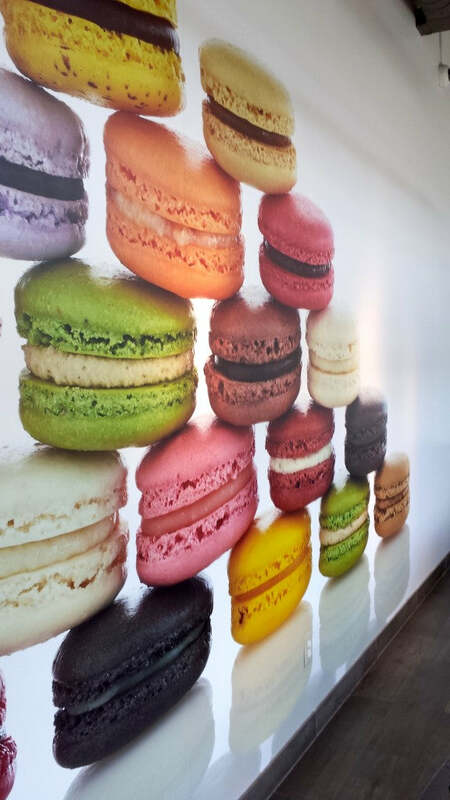 Personally, I don't like macarons. Something about the texture has always bothered me. It's a real shame because they're gorgeous, sophisticated and all-around more interesting than eating a chocolate chip cookie. However, just because I don't like macarons doesn't mean Marigold & Grey clients don't. In fact, I'm finding that people go nuts over these little works of art when we include them in wedding welcome gifts! 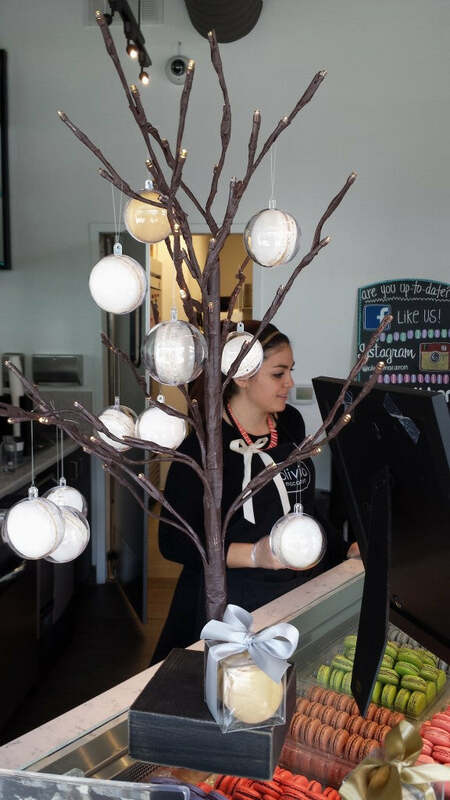 So, when Ana Claudia invited me to come tour her Georgetown shop, Olivia Macaron, I was thrilled at the possibility of a partnership. 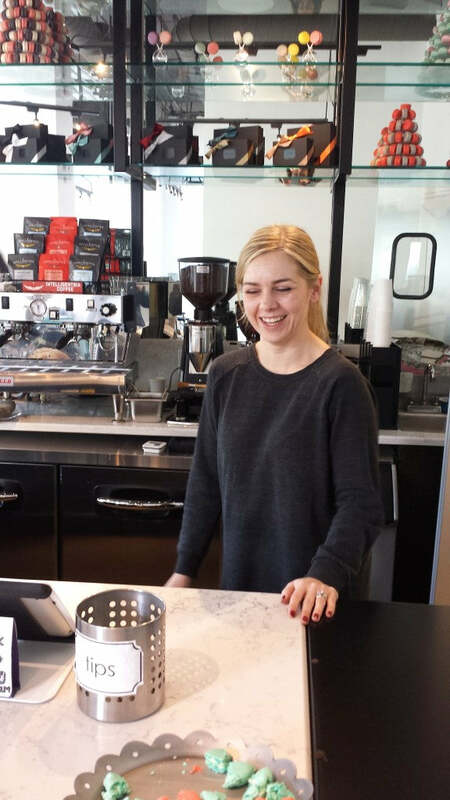 I was warmly greeted by Ana Claudia and instantly offered some samples. Almond or Blood Orange? Uh oh. 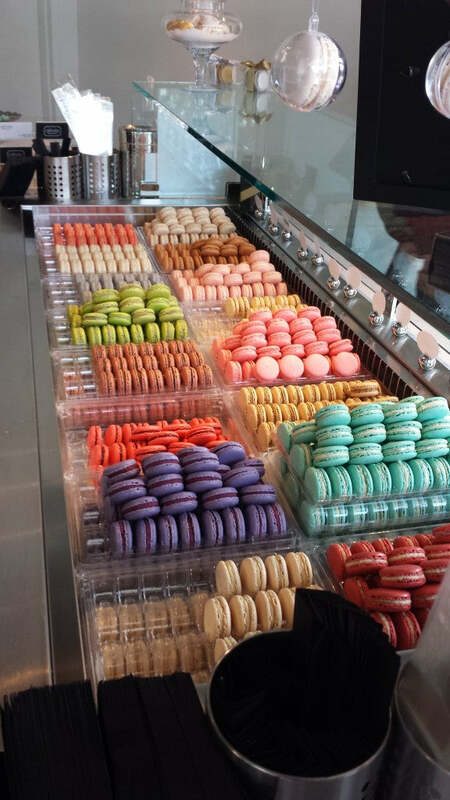 Pretty awkward trying to say "no thank you" to a woman who eats, breaths and sleeps macarons. But since I love blood orange in general, I agreed to try one. Boy was I surprised! The texture was so different than any other macaron I'd ever had and I actually enjoyed it. Thanks for turning me into a believer Ana Claudia! I'll be back! Onto business. We chatted about the best packaging options to offer Marigold & Grey clients. Can't wait to add several amazing choices to our collection over the next few weeks! 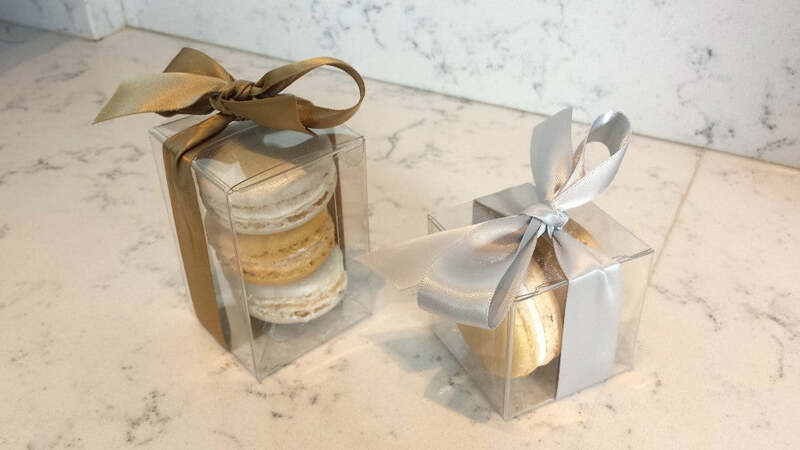 How cute are these double and triple treat boxes as well as the elegant black ribbon box? Totally smitten. The whole time I was there, I couldn't help but fall in love with the modern yet charming atmosphere. Being the huge fan of metallics that I am, I was immediately captivated by their storefront window which they had decked out for the holidays. Shades of gold, silver, copper and champagne along with miniature lit trees...amazing. 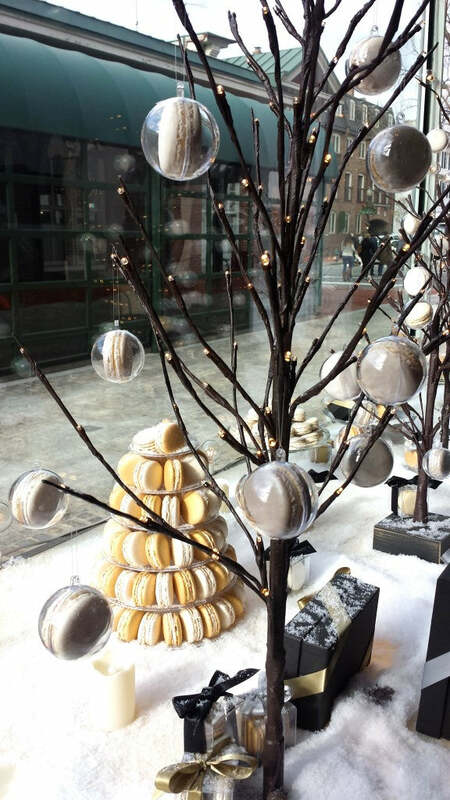 Even real macarons tucked inside tree ornaments! Do you like what you see? 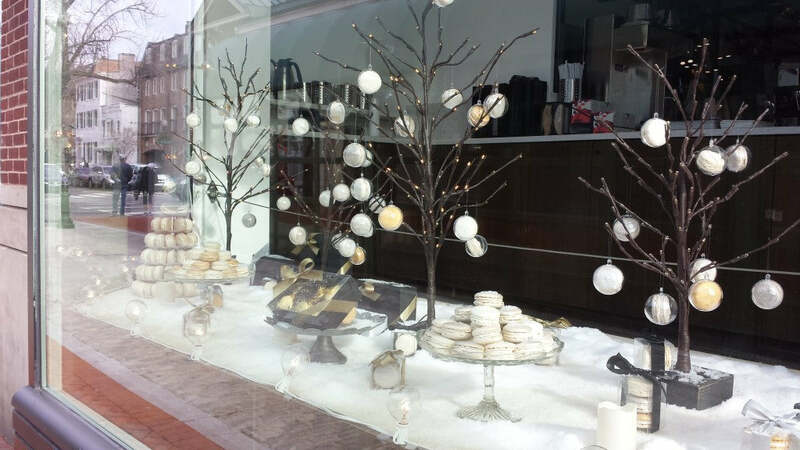 Olivia Macaron is competing in the 3rd Annual Georgetown Holiday Window Competition. Vote here by simply "liking" their storefront on Facebook. Competition ends 12/17. Make sure you show them some love! 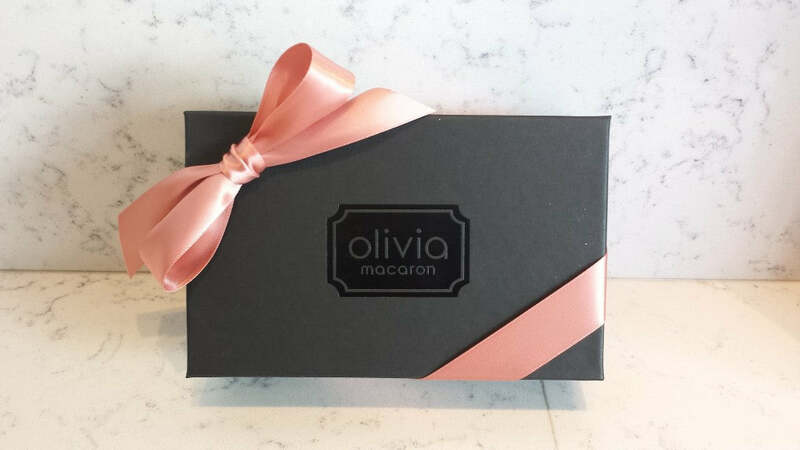 A heartfelt thanks to Olivia Macaron for taking the time out of your day to host Marigold & Grey! We look forward to this new collaboration and seeing how your sweet treats shine in our gift designs!